Sable Altura Fire Rescue, formed in 1963 covering 26 square miles with 1 station in Arapahoe & Adams Counties including towns and areas Aurora, Foxridge Farms and sections of I-70 and E-470. 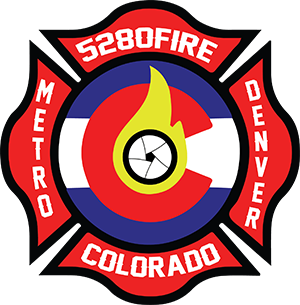 In 1963 a determined band of soldiers from Lowry Air Force Base, Buckley (then a Colorado Air National Guard Base), and local residents joined with the intent of forming a fire district in east Aurora. On their third attempt in the ensuing months, and after significant hardships and trials, the Sable-Altura Volunteer Fire Department was formed. In the 1970’s the Sable Altura Fire Protection District was established. In the 80’s the department moved the headquarters from 17th and Jasper to a new station at its present location. The department also built a second station at 56th and Buckley. In the early 90’s, the Board of Directors asked the Cunningham Fire Protection District, to assume primary response duties within the Sable Altura Fire District. The volunteers of Sable Altura were still responding in a cooperative manner with Cunningham. By contract however, Cunningham was the primary fire agency for the District. It was during this time that Denver International Airport entering service and Cunningham sold Station No. 2 to the city of Denver to make room for the new highway, Pena Boulevard. Once the Cunningham contract had expired, the Board of Directors decided to return the responsibilities of emergency response back over to the Sable Altura Fire Department. Sable Altura Fire Rescue is part of the I-70 corridor fire departments which includes: Bennett-Watkins Fire Rescue, Byers Fire Protection District, Deer Trail Rural Fire Protection District & Strasburg Fire Protection District. Sable Altura Fire Rescue is dispatched by MetCom (Metropolitan Area Communications Center).